In a favourable year, pre-emergence herbicides can deliver high levels of control, but inefficient delivery and the 97% control required to manage black-grass populations, makes this very difficult to achieve. At the pre-/peri-emergence spray timing the target is the soil. The aim is to maximise coverage with the herbicide spray and retain it in the top 5cm of the soil to control flushes of germinating weeds that may emerge over time. However, coverage can often be compromised by drift and herbicide retention can be affected by soil moisture and leaching potential of the herbicide. The adjuvant C-Cure is designed to optimise the placement of residual herbicides by reducing drift and increasing herbicide retention, leading to more effective weed control. At the pre-emergence spray timing (i.e. herbicide applications applied to the soil before the weed has emerged), effective coverage of the soil with the applied herbicide is essential to ensure all germinating weeds “pick up” the herbicide as they emerge to prevent them establishing. Poor coverage can occur as a result of spray drift. C-Cure reduces spray drift and improves coverage. Weeds typically germinate from the top 5cm of soil in the soil profile. Residual herbicides (soil acting herbicides) need to be retained in the top 5cm of soil to control weeds as they germinate – weeds pick up herbicide through their roots and shoots – mainly shoots). However, some herbicides will leach down through the soil profile as they are “prone to leaching” or due to light soils which lack organic matter to bind to. C-Cure helps retain residual herbicides for up to 8 weeks, increasing the longevity of weed control. Residual herbicides (soil acting herbicides) typically require some moisture to work.  However, often soils can become dry due to the lack of rain or where light soils “leach” the water easily. C-Cure retains soil moisture increasing the performance of residual herbicides. Some herbicides have a tendency to leach, particularly in light soils which lack organic matter to bind to. C-Cure helps retain residual herbicides in the soil profile which prevent the leaching to groundwater and the root zone of the crop. 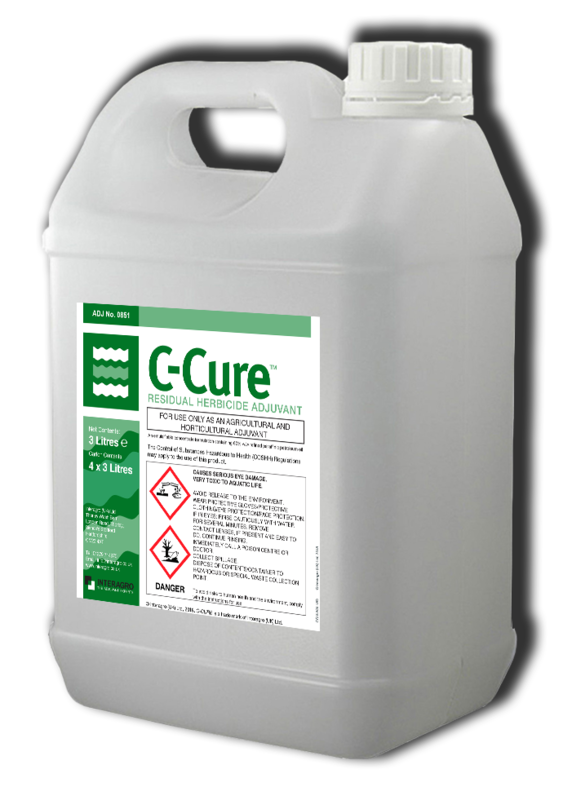 C-Cure increases the number of weeds coming into contact with the herbicide at germination. This increases the number of weeds that will be controlled, both reducing seed return and improving crop competition and overall yield. Whilst it is not advisable to apply residual herbicides in dry conditions, sometimes there's no other option due to the risk of not getting the spray on at all. In other situations, it may just be that the herbicide went on in good conditions and suddenly soils have become dry due to prolonged, hot dry days. C-Cure will improve weed control in these situations. By keeping herbicides and other crop protection products away from the crop root zone, C-Cure improves crop safety, which can sometimes be a concern in very wet soils in autumn. C-Cure is also a valuable water stewardship measure for herbicides and other crop protection products that may have a tendency to leach through the soil.